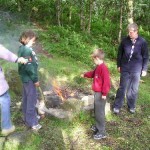 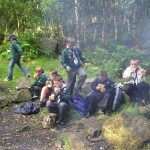 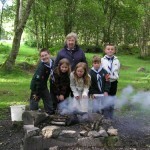 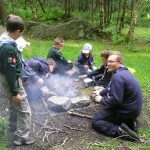 On 14th July, the Cubs went to the District Campsite at Thornthwaite for a n evening of fire lighting. 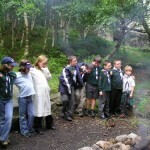 Each Six gathered their own wood and built a fire. 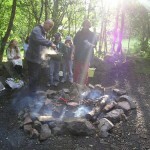 They were then given a chance to light their own fire.